Mjrj IT Consulting uses a highly reputable online marketing & branding company called Netclues. Netclues houses a professionally managed graphic division that delivers sophisticated corporate identity solutions, business cards, corporate stationery, customized logo designing, exclusively crafted corporate brochure, catalogs, flyers, press kit design, presentation covers and folders, business catalog, business postcard design, customized print templates design to add radiance to your business. We provide graphic design and logo design in a variety of formats to compliment our web design services and printing services. Netclues offers complete package to ensure that the marketing of your business and the website developed, both complement each other with a touch of class. Netclues always believes in offering products which stand by the international quality standards and yet appeal because of the aesthetic sense that it carries. 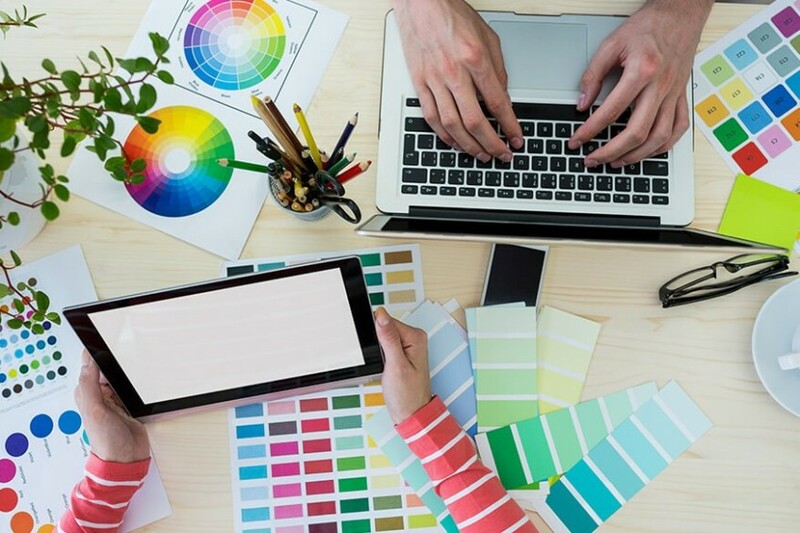 Whether you need logo design, printing services, or signage our creative talent can engineer a product that will help you stand out from your competitors. Netclues focuses on the big picture of your business to develop a company image that is reflects your mission, goals and yet effectively communicates through multiple channels of marketing.